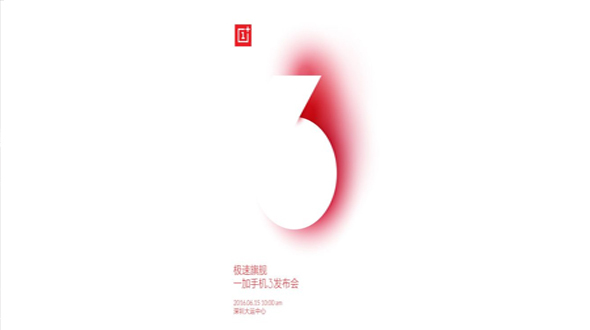 OnePlus confirmed that the OnePlus 3 will launch globally on June 14 at 12:30PM EDT (9:30AM PDT). Invites are gone for good, VR users will be able to buy the device exclusively in the first two hours, and open sales will start at 3PM EDT. The OnePlus 3 (model number A3000) could pack a 1080p HD display, 4 GB of RAM and 32 GB of internal memory. Unsurprisingly, this should all be powered by a Snapdragon 820 chipset coupled with an Adreno 530 GPU. Another leak in early May confirmed the above information but also provided further details on a premium model, which is said to house 6 GB of RAM and 64 GB of internal storage. The cameras were said to be 16 MP on the rear and 8 MP on the front, and a 3,500-mAh battery was also suggested. Previous models in the series used the cursed Snapdragon 810, despite its overheating problems, but the new generation chip should solve this issue and allow for better performance. We'd also expect the new phone to employ a USB type C port, as its predecessor did. Update: Bye Bye Invites, Hello OnePlus 3! To Update you all OnePlus is saying good bye to invite system for all the devices along with OnePlus 3. Mail received from OnePlus says "We’re releasing the OnePlus 3 invite-free, right from launch day. In addition, invites are gone forever from future OnePlus product launches. Sounds awesome right? It’s a new reality and a big step for us as a company, our fans, and fellow tech enthusiasts. In addition, we’re very excited to invite you to the Loop for the official launch of the OnePlus 3 on June 14 at 10 PM (IST). Start preparing to join the experience today and download the app today!